Have a look at the two glasses of juice. Now let’s think how many correct sentences you can say about these two glasses. The meaning of the sentences will all be more or less the same. There is more juice in the glass on the left than in the glass on the right. 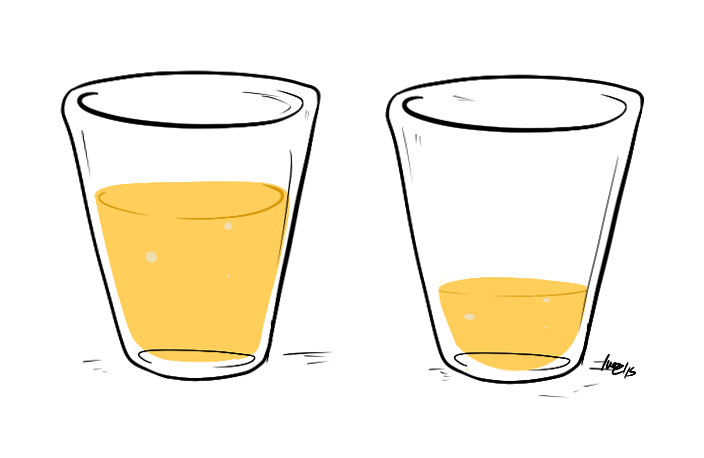 There is less juice in the glass on the right than in the one on the left. Okay, so that is with more and less. If you’re not sure how to use more and less, move over to this article where you can learn more. The glass on the left is almost full. The glass on the right is almost empty. The glass on the left is not completely full. The glass on the right isn’t completely empty. There’s hardly any juice in the right glass. 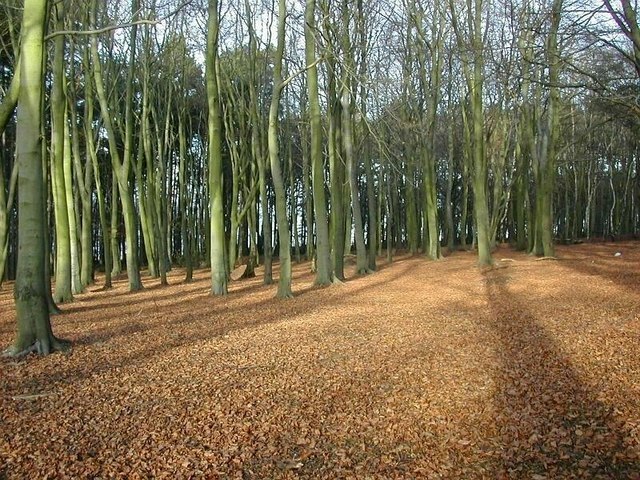 As you can see, this shows a picture of a forest in late autumn (the last part of the autumn). Let’s see what we can say about this picture. The trees that are close to us have less leaves than the ones in the back of the picture. Actually “less” is wrong here, as you can count the leaves, so you should use fewer. So this sentence should be: The trees that are close to us have fewer leaves than the ones in the back of the picture. The trees that are in the back have more leaves than the ones close to us. The trees at the back of the picture have less space around them than the ones that are close to us. This autumn is less warm than last year’s autumn. Last year’s autumn was warmer than this year’s. Some trees are still almost full with leaves. Most trees are almost empty with leaves. The trees aren’t full with leaves. The trees aren’t completely empty with leaves. There’s hardly a leaf that isn’t brown. You can hardly see the ground because it’s covered by so many leaves. You know, a very good exercise for you to do would be to take a picture and try to say different sentences about it. This is one thing I do with my students and they learn a lot from it. 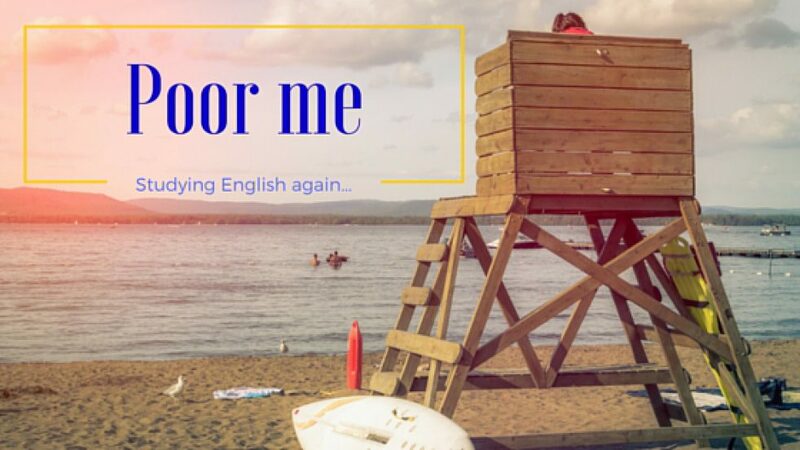 If you’d like me to correct your sentences, you can email them to me. This quiz uses easy language, but the exercise itself needs logical thinking and this might be less easy! 1 I can eat only a little dessert. I’m almost full. I ate a lot of little things. I only ate breakfast this morning. My stomach is almost empty. 2 Vinnie and Victoria are almost ready to go on their trip. They’re beginning to pack their suitcases. Their suitcases can go into the car. 3 Simon’s schedule is almost full. He has lots of time to meet people today. 4 My bookcase has hardly an empty spot. The shelves are full of books. I have lots of space to put more books. 5 The baby can almost say a complete sentence. The baby can hardly say two words. The baby knows a lot of words already. 6 Danielle can hardly speak English. She speaks a little English. 7 The beach isn’t full with people. The beach is full with people. The beach isn’t completely empty of people. 8 There are hardly any waves in the sea. 9 I need to buy new paper, as my paper tray is almost empty. My tray has one or two more sheets of paper. I still have plenty of paper to print. 10 Pippa has hardly any clothes for the summer. She needs to buy new clothes asap! She can wear all her stuff from last summer. No need to buy any clothes. You might also enjoy reading about less and least in this older article. Or about too much and not enough. Previous Post How About Russell Brand Teaching You English? Oh yeah. I’ll change it. But many people say less in these cases. Should be FEWER leaves, not LESS leaves.